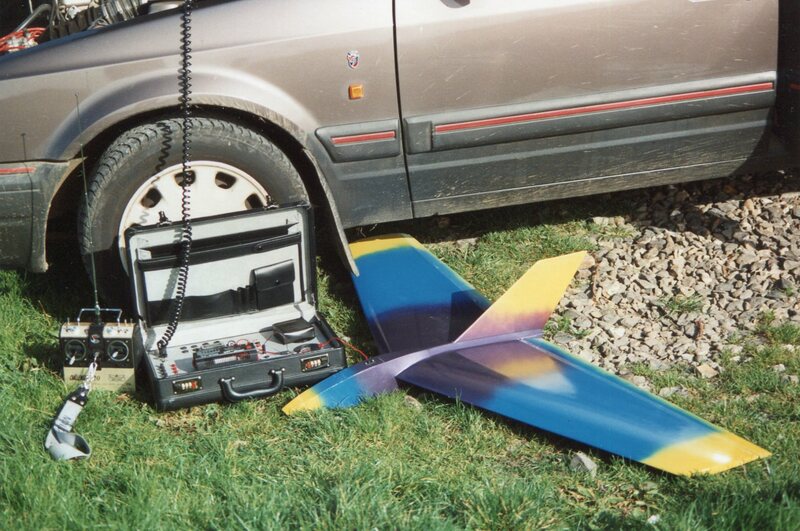 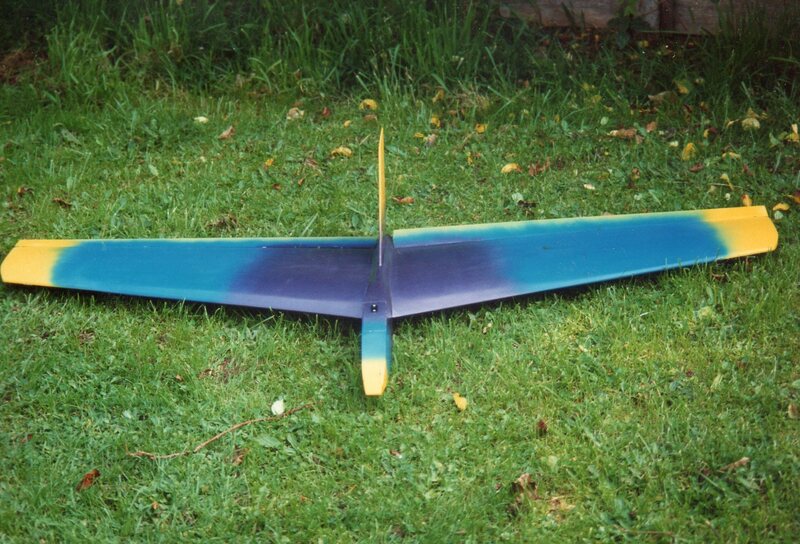 My 8th glider is this one, this glider got court in a thermal up at the Dyke and I put it into a dive but it wouldn't pull out. 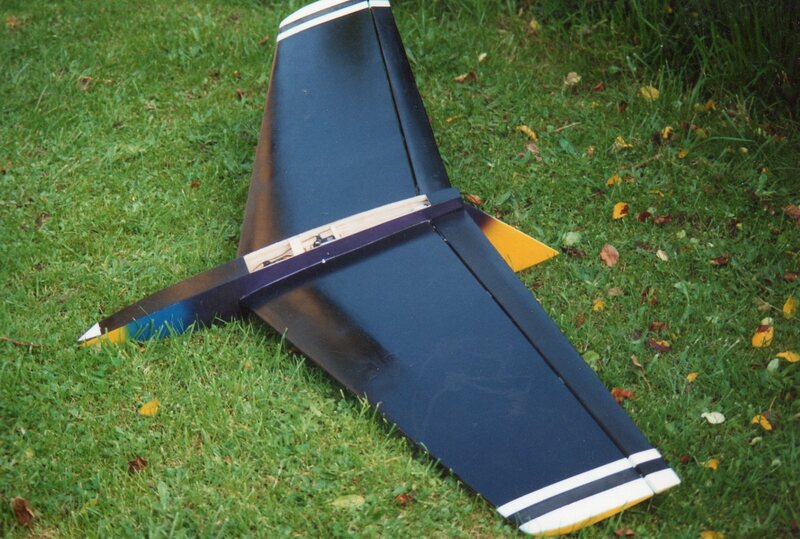 The fuselage went into the ground 6 inches, The fuselage is ply, wings foam veneered, fin and elevons are balsa. 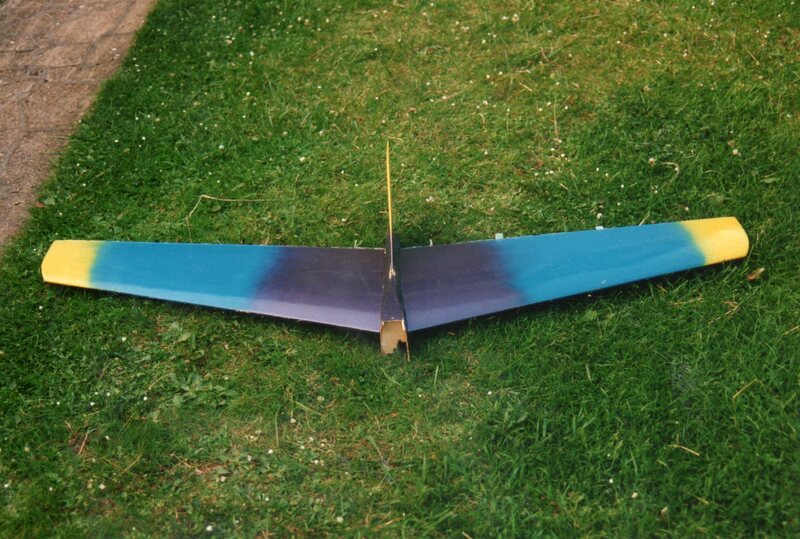 I glassed the wings when building the glider and the wings were the only thing that survived, even the elevons did not survive which were not glassed.